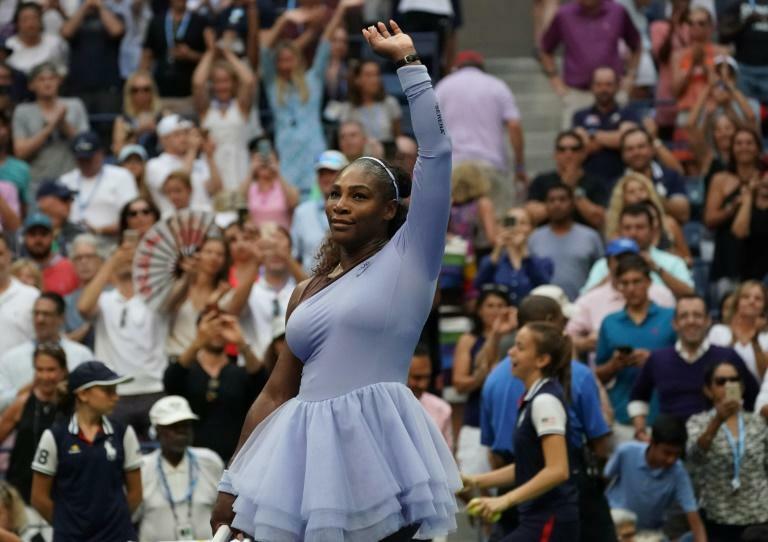 Six-time champion Serena Williams used a blazing start and battling finish to reach the US Open quarter-finals on Sunday with a 6-0, 4-6, 6-3 victory over Kaia Kanepi. Williams looked set for a romp when she seized the first set from Kanepi in just 18 minutes. But the hard-hitting Estonian, who took out world number one Simona Halep in the first round, settled down in the second, boosted by an opening break as she took a 2-0 lead. After a Williams double fault gave Kanepi a break for a 5-2 Williams answered by winning the next two games. But she couldn't convert two break chances in the 10th, and after Williams saved two set points Kanepi knotted the match with a service winner on her third set point. "I made one or two crucial errors and that cost me the second set, or at least cost me the first game," Williams said. "Then she was holding pretty well at that point. "So it wasn't like my level went down tremendously. It was one or two points that made a huge difference in that second set." After holding serve in a close first game to open the third -- belting a backhand winner and letting out a "Serena scream" -- Williams took control with a break for 2-0. That was all she needed as 18 aces and 47 total winners proved plenty to put her through. She can also avoid her first year since 2011 without a Grand Slam title. She missed her Australian Open title defense, not returning to the tour until March. She withdrew prior to a fourth-round meeting with Maria Sharapova at the French Open with a shoulder injury before a scintillating run to the Wimbledon final ended with a runner-up finish to Angelique Kerber. After calling a clinical third-round victory over elder sister Venus the best tennis she's played since her return, Williams said she's feeling no pressure to perform. "I don't really feel pressure, because I'm on this journey of getting back to where I was," she said. "I'm kind of enjoying that, to be honest."